Joseph J. 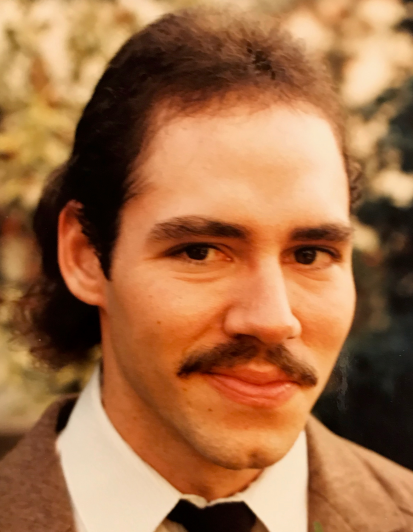 “Joey” Schindler, 56, of Decatur, IN, passed away on Friday, March 29, 2019 at his residence. He was born on February 28, 1963, in Decatur, IN, the son of Joseph E. and Janet M. (Grandstaff) Schindler. He was a 1981 Graduate of Bellmont High School. Joey was a self-employed painter and drywall finisher, working with his father, the late Joseph E. Schindler and then with Tony Faurote from the 70’s to the 90’s. He also did maintenance work for Bandidos Mexican Restaurant in Fort Wayne. Joey enjoyed Kawasaki Motorcycles and liked attending farm shows. He is survived by his mother, Janet M. Schindler of Decatur; 2 brothers, Steven J. Schindler of Sanford, FL and John J. Schindler of Decatur; 2 sisters, Juli (Timothy) Sordelet of Columbia City and Suzanne (Wes) Bloemker of Naples, FL; 2 nieces, Caroline Bloemker and Dana Sordelet; a nephew, Bradley (Angelina) Sordelet; uncle, Jimmy Schindler of Ft. Wayne; and a special friend, Lisa Kocher. He was preceded in death by his father, 3 uncles, and 7 aunts. Per his request NO services or visitation will be held. He will be buried next to his father in the Decatur Cemetery at a later date.